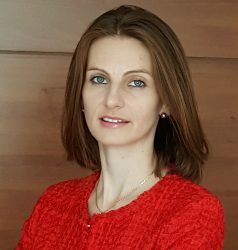 Karina Mesarosova is a managing partner of KM Flight Research & Training, an EU-based company specializing in Human Factors. She is an adjunct professor with Embry-Riddle Aeronautical University – Worldwide. Karina is an EAAP accredited Aviation Psychologist as well as a member of the British Psychological Society and the European Federation of Psychologists’ Associations. She remains active within the research field to continue to improve the effectiveness of Human Factors within aviation. Her research interests include the use of personality profiling in aviation and practical approaches to assessing and managing fatigue, as well as research on age and performance in pilots.